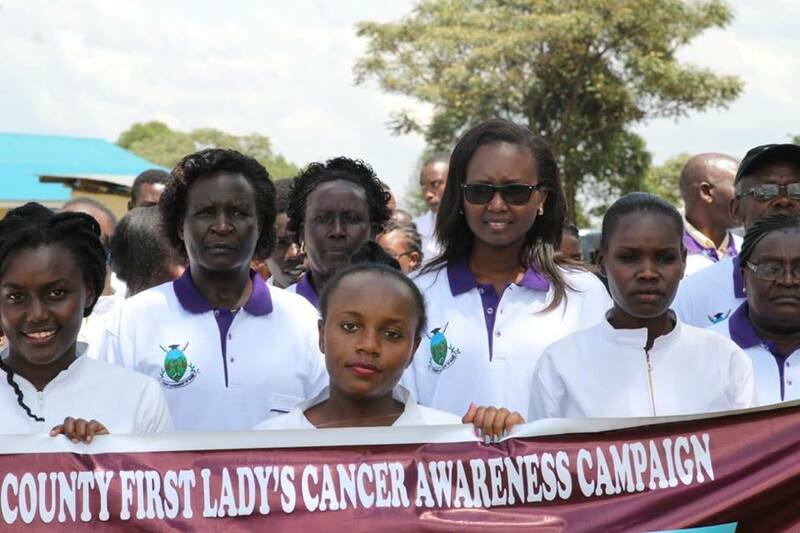 Nandi County First Lady, Sheila Sang, has launched the Nandi County cancer awareness and screening programme. 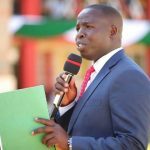 Over 400 residents turned up for free cancer screening during the launch of First Lady cancer awareness campaign at Chemundu Dispensary, Chesumei Sub County. 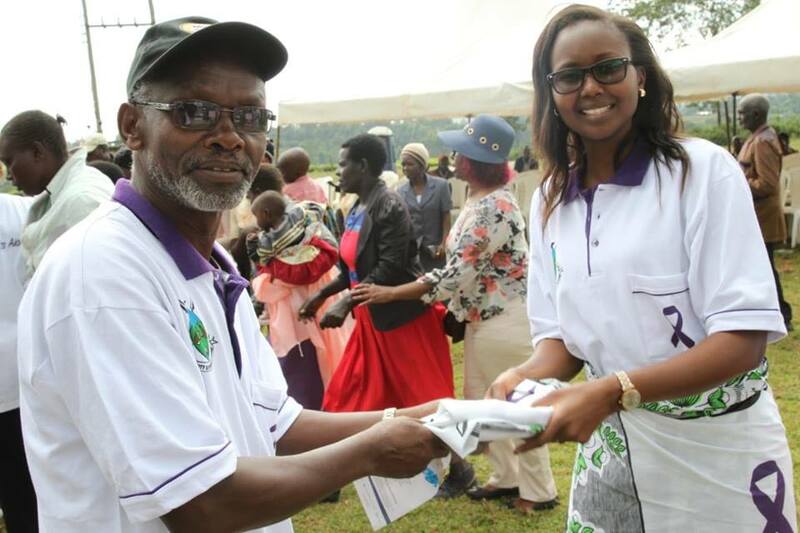 The screening was done for breast, prostate and cervical cancer, which are considered to be the prevalent cases in the county. Her campaign aims at sensitizing the public on the need to conduct frequent cancer screening. The County First Lady called on Nandi residents to come out in large numbers and get screened for the disease. “We will give cancer the attention it deserves,” Sheila said. “Breast and cervical cancer does not just happen to ‘other’ women, ‘older’ women and is not one’s ‘fate’. Knowledge and access to screening can protect women and their families from suffering and loss,” said Mrs Sang. The County First lady said that majority of the cancer cases are diagnosed at advanced stages when the chances are minimal. Mrs. 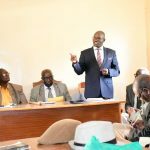 Sang said that the disease is becoming a threat and it would be better for Nandi residents to get regular checkup and early treatment to successfully manage it. Cancer is ranked as the third killer disease after infectious and cardiovascular diseases in Kenya. Present at the event were Cancer survivors who shared their experiences. Mrs. Sang assured Nandi residents that her office will spearhead the formation of Support Groups that will offer all the necessary support to cancer patients and survivors. 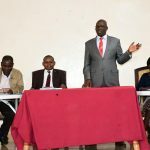 She was accompanied by the Deputy County Secretary Truphena Kobilo, Chief Officer Medical Services Dr. Paul Lagat, Chief Officer Preventive and Promotive Services Sally Kemboi, Chief Officer Tourism and Culture Beatrice Chemurgor, Chemundu/Kapng’etuny Ward MCA Robert Kirwa, County Health Director Dr. Joseph Kangor among other County Officials.